Ubisoft has announced that Child of Light and Valiant Hearts, two hand-drawn adventures from Ubisoft Montreal and Ubisoft Montpellier, are coming to Nintendo Switch on October 11 and November 8 respectively. Child of Light tells the coming-of-age story of Aurora, a young girl struggling to save the lost kingdom of Lemuria and her ailing father. On Switch, players can team up with a friend as Igniculus can be controlled by another player using a Joy-Con controller. Valiant Hearts tells the story of five separate strangers, brought together by the horrors of war and their faithful canine companion. On Switch, Valiant Hearts is fully playable with touch controls, allowing you to interact with the characters and world. 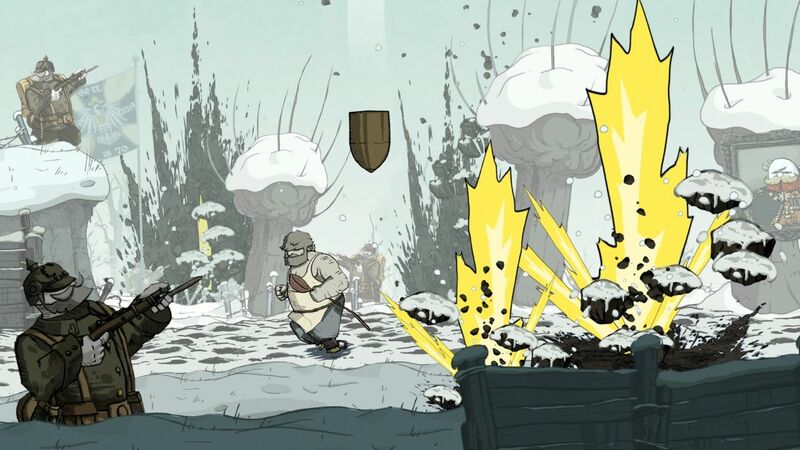 Additionally, Switch owners will have access to an interactive comic book, Valiant Hearts: Dogs of War. Both of these titles were first released on current and last-gen consoles a few years ago. There are currently 0 members and 162 guests on the website right now. Child of Light (Wii U) is ranked #439 out of 1436 total reviewed games. It is ranked #34 out of 152 games reviewed in 2014.